Participants (L to R): Alison Brooks, David Buss, Alison Gopnik, Peter Richerson, Polly Wiessner, Paul Seabright, Suzana Herculano-Houzel, Frans de Waal, Paul Wason, Kristin Andrews, Richard Wrangham, Anne Pusey, Sergey Gavrilets, Joe Henrich. Objectives: The year 2021 will be the 150th anniversary of the publication of Darwin's second book "The Descent of Man" (1871). The aim of this workshop was to develop strategies for preparing the scientific community for the widespread celebration of the achievements of life science in understanding human origins (including continuities and discontinuities with other species) that will accompany this anniversary. 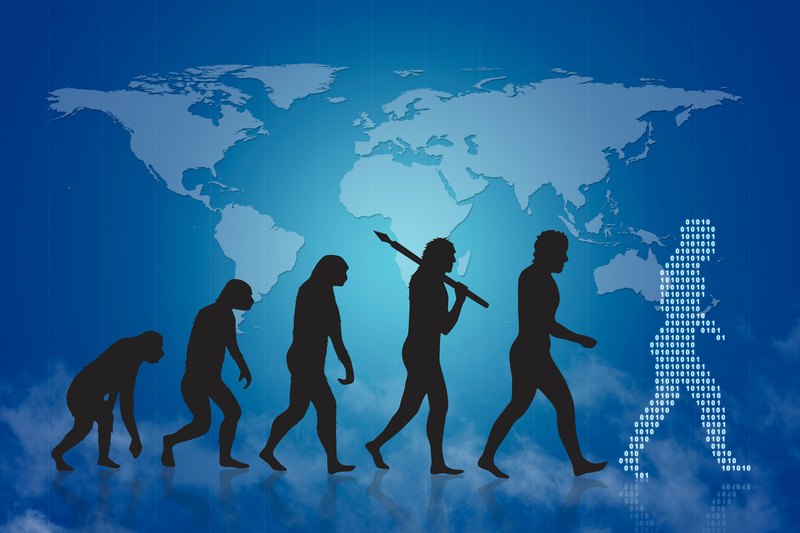 Our overall goal was to leverage this oncoming anniversary 1) to advance scientific research focusing on the evolutionary forces and mechanisms that drove the origins of the human species and on implications of our evolutionary past for modern humans and 2) to promote public understanding of the significance of this research across various segments of society, including educators, politicians, business leaders, and medical doctors. A specific goal was to build momentum and stimulate collaborative research networks across various scientific disciplines (such as evolutionary biology, primatology, anthropology, neurobiology, psychology, economics and other social sciences) with the aim of establishing a major new synthesis center analogous to the highly successful previous NSF-funded centers (NCEAS, NESCent, NIMBioS, and SESYNC) which have already revolutionized the way research is done across a range of life sciences.